Aaron Donald ended the 2018 season with the highest single-game grade by an interior defender. With the NFL season now officially in the books, Pro Football Focus takes a look back at the Los Angeles Rams' 2018 campaign. Senior analyst Sam Monson breaks down Aaron Donald, PFF's Stephenson Award winner, and best player in the NFL this year. Los Angeles Rams' Aaron Donald wins PFF's 2018 Reggie White Award, which goes to the NFL's best pass-rusher of the year. 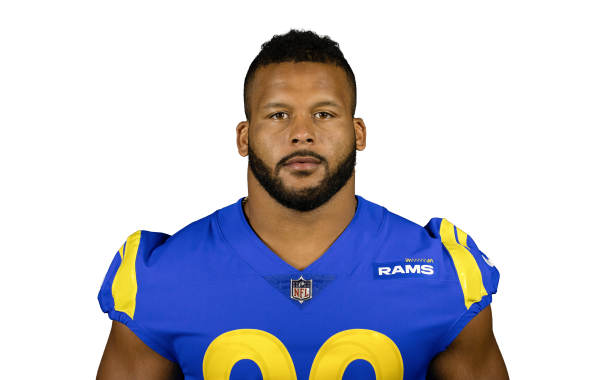 Los Angeles Rams veteran defensive interior Aaron Donald wins 2018 PFF Defensive Player of the Year.